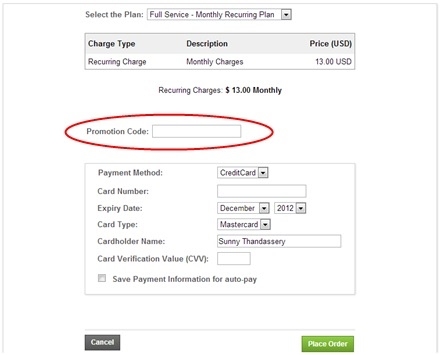 Enter the “Promotion Code”. This would be the code that you would enter when creating a new order for your customer. Select the “Type of promotion” you want. It could be a one time promotion, which would be applied to 1 invoice. 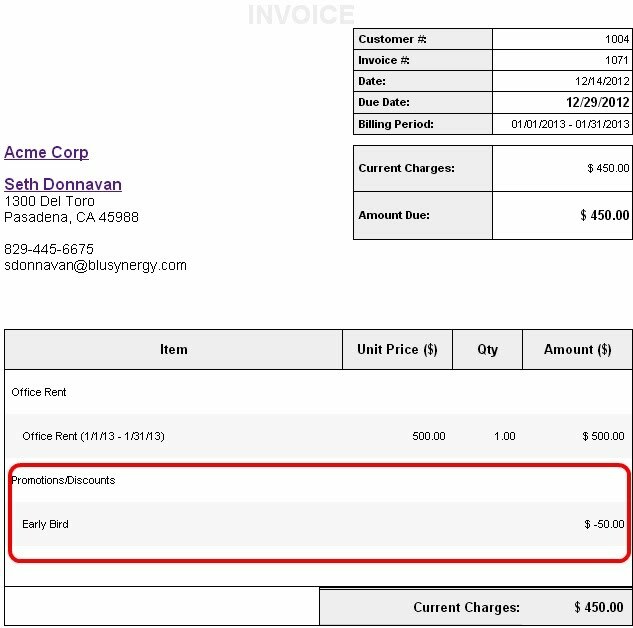 It could be a recurring promotion that would be applied to all invoices generated for the customer for a specified period. It could also be percentage based discounts which can be one time and recurring as well.